This level has medium difficulty. For this level try to play more from the bottom to shuffle the candies to break the blockers and it will also help to get special candy. Combine special candies with each other to spread more jelly. Or play near to jelly candy to spread it to near candies. This level has medium difficulty. 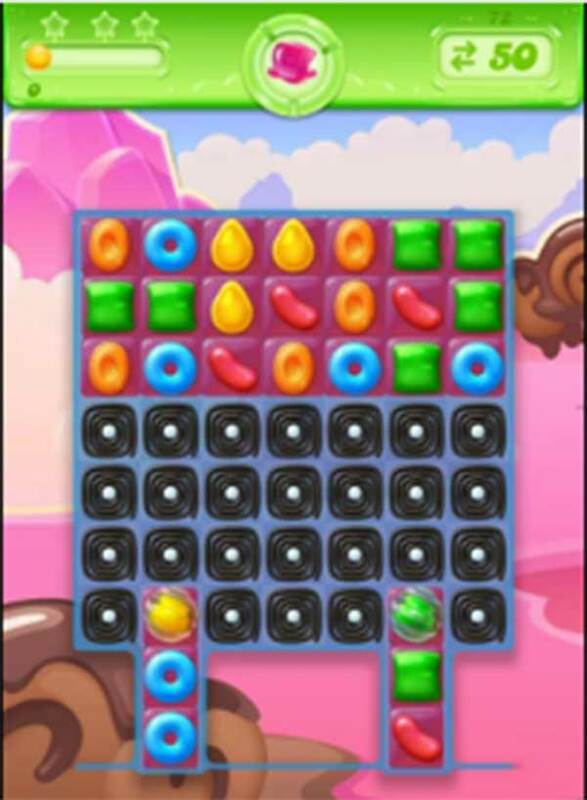 For this level try to play more from the bottom to shuffle the candies to break the blockers and it will also help to get special candy. Combine special candies with each other to spread more jelly. Or play near to jelly candy to spread it to near candies.”””” I many cases, the bottom is totally blocked making your advice useless. What’s your advice then????????? ?